Growing herb plants presents many challenges. Almost all are species plants and have their own requirements for germination, growth, and peaceful establishment in someone’s garden. 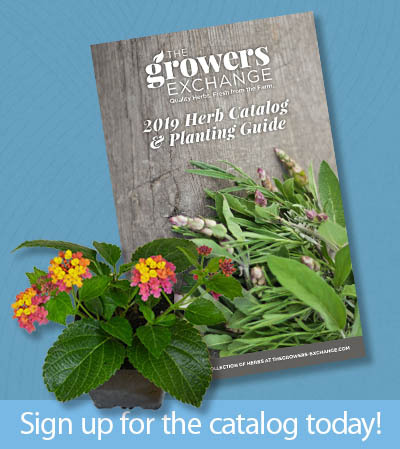 When The Growers Exchange decided to grow only herb plants, we quickly found ourselves pretty much all alone in our commercial greenhouse community. When growing more common plants, we could always call around and find extra plants when needed. Not so with many herb plants! 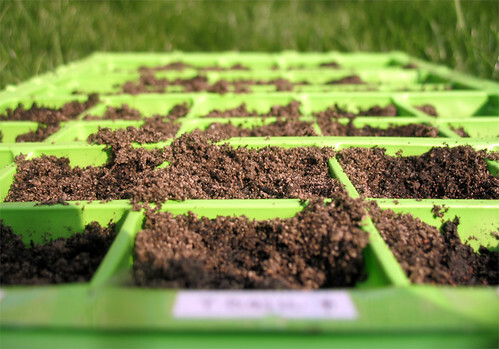 Finding fresh seed for basil, cilantro, parsley, and all the popular culinary herbs is easy. But if we run out of plants, our neighboring greenhouses will be full with geraniums and other flowering plants. If we run out, then we are out! But this inconvenience is small compared to consistently finding seeds for the less known herbs such as White Sage and Holy Basil. Only a few seed companies sell rare herb seeds. Once certain seeds have been located, they must also be viable. Meaning they must be fresh enough to germinate. Finding fresh seed for rare herbs is always chancy, and we watch closely to see that we can try again if a batch fails to germinate. To even the odds that we sow fresh viable seed, we have grown our own herb plants in a garden next to the farm office. Seeds are harvested and dried in an old smokehouse. We still must buy seeds, but we also have the seeds we grew, which are very fresh. This doesn’t solve all the problems, but helps plenty and gives us a proactive way to keep a fresh supply of seeds. February Is For The Birds…Literally! Water Through The Winter. Birds need a fresh source of water, so make sure to break and remove any ice that may accumulate in your bird baths, and replenish the water regularly. Our Bamboo themed Mini Oriental Bird Bath makes the perfect compact addition to your garden and gives birds plenty of fresh water to drink and play! Cleaning is Key. Routinely clean debris from bird baths and old seed from bird feeders to prevent fungus and disease from developing and making the birds sick. Home Tweet Home. Give your birds plenty of dry, protected places to nest for the winter. Hang birdhouses in areas that are out of the wind and weather to provide a great winter home for birds that don’t migrate. Looking for a cozy country-inspired home for your birds? Our Red Wooden Birdhouse compliments your country garden with a rustic look to give your birds the best place to nest year round! Treats For Tweets. I have vivid memories of my mother placing halves of too-far gone oranges, apples and pears; mushy bananas, dried nuts and other edible compost out along the snow covered railings of our porch, for the mockingbirds. Songbirds LOVE fruit! 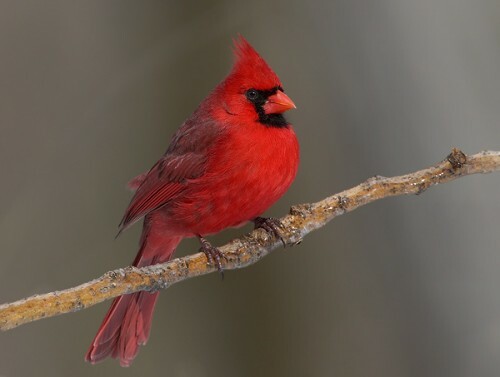 Giving your birds additional nutrition keeps their diet balanced while giving them something new to instigate, while giving you a great natural show to watch from indoors. Feed the Flock. Don’t forget to regularly refill your bird feeders and inspect them for winter damage. Replace cracked or broken feeders as needed with new ones.Our Glass Bamboo Feeder is made of thick, hand-blown glass and brass so it’s sturdy enough to withstand winter’s worst! Out Smart the Squirrels. Other critters may be competing for food sources during this time of the year. Try to hang your feeders in areas that squirrels can’t get to, or attach guards or cages to keep them from stealing all of your birdseed. Select The Right Seed. Suet cakes are a great “hodge podge” of high calorie seeds that come in different varieties to attract specific types of winter birds. Peanuts and Nyger seeds are other high calorie nuts and seeds that will ensure your birds stay plump and warm this winter. Nasturtiums are typically started from seed– but why do the sowing yourself, when we are happy to sow them for you? While most of the country is experiencing another record-setting snowy winter, your nasturtiums are in good hands here on the farm, safe in our warm and well-tended greenhouse. 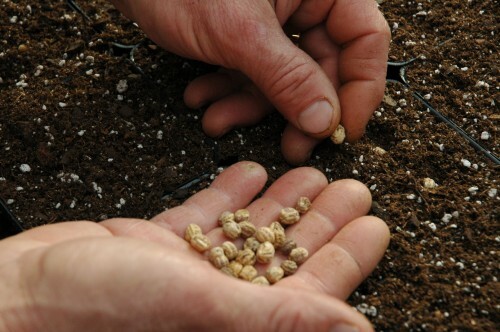 While most people are ordering seeds that ship immediately, we’re nurturing and hand tending our plants with care until it is warm enough to ship them via mail couriers like Fedex, this spring. This way, you get healthy, happy plants that arrive on your doorstep and are ready to plant or pot, instead of seeds that have battled the rigors of the icy weather AND the postal system. Our nasturtiums are a great example. Below, see us starting these little guys on their life journey. When spring arrives at last and you receive your Nasturtiums, plant them in well-drained soil and full sun. They are easy to grow, and do not require a lot of maintenance. In fact, they do better with a little neglect. They like weekly waterings, or whenever soil is dry to the touch. Nasturtium leaves have an interesting watercress flavor to them, and are a wonderful addition to salads and cheese sandwiches. Use them to spice up cream cheeses, dips, or egg dishes. Colorful nasturtium flowers are not only beautiful, but are also edible. Many health food stores carry these edible flowers– but at a high price! Take advantage of your nasturtiums by picking their flowers soon after they open up. The flowers can be served whole as a gorgeous decoration to cakes, or petals can be sprinkled on salads. If you would rather keep your blooms on your plant, be sure to remember to pick off dead blooms. This will allow your nasturtium to bloom continuously. If you don’t dead-head them, they will start to go to seed, as our social director Caroline recently discovered! You can read about her experience in our previous blog. These seeds can also be pickled and used as you would use capers.